MMS Bite Size Bulletin runs daily in our cafeteria. It provides up-to-date information about upcoming events, meetings, and accomplishments. 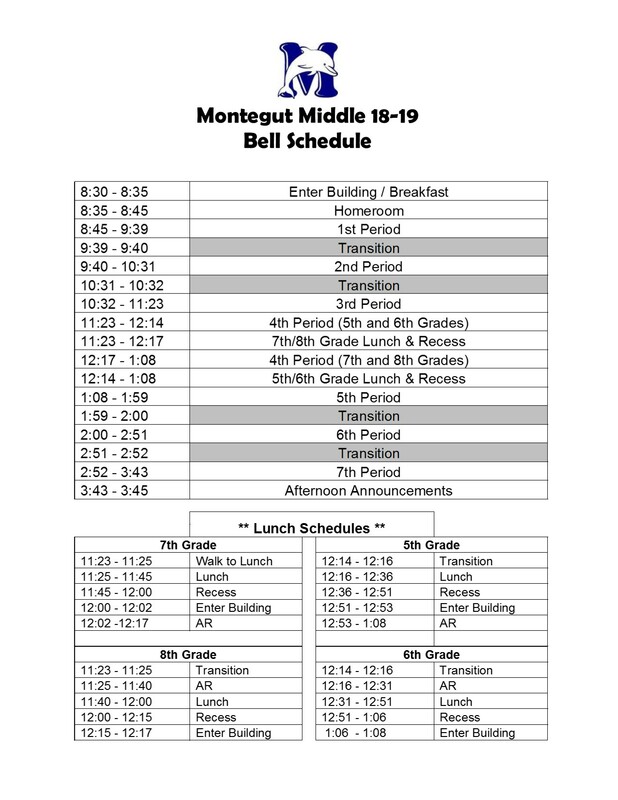 Each month students who exhibit the traits of our "word of the month" are recognized as the "Students of the Month,"
Montegut Middle School is fostering a connected community as we provide a safe and positive environment that enables students to grow academically and socially. This growth ensures students will be ready for the transition to high school, where they will continue to prepare for college and/or career readiness. Engage, Educate, Empower, Every Student Every Day!